This property is located in North Somerset just a short drive from the cosmopolitan city of Bristol with its world-class shopping wide range of restaurants a number of museums galleries and arts centres an aquarium and even a zoo. The coast is within easy reach of the property with the large beach at Weston-Super-Mare Less than twenty miles away offering a taste of the traditional English seaside. Other attractions in the area include the historic city of Bath Cheddar Gorge and Wookey Hole Caves. 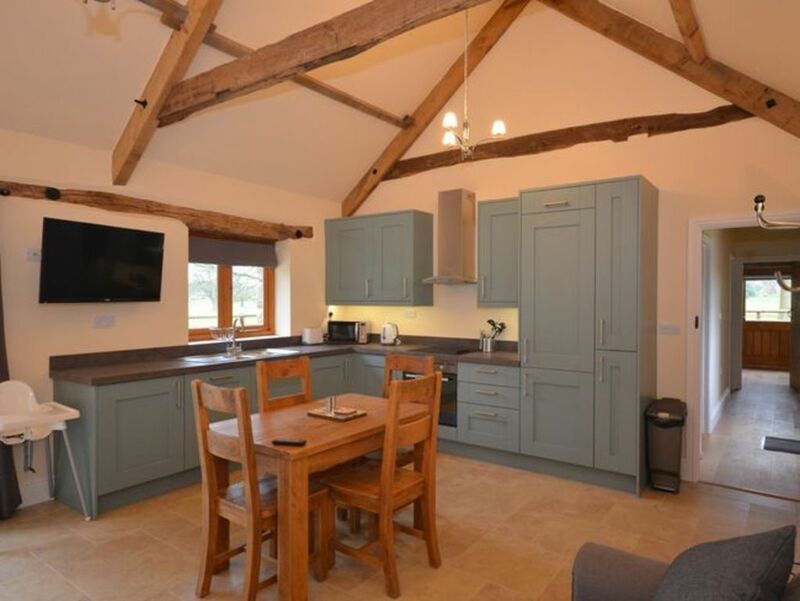 Entering this single-storey barn conversion guests first come to the heart of the property: the main living area which comprises an open-plan lounge/kitchen/diner. This light-filled space has a comfortable sofa TV French windows leading outside a dining table seating four and a well-equipped kitchen area. Guests will easily find everything they need to make themselves at home here including an oven hob microwave fridge/freezer dishwasher and washing machine. The property s two inviting and restful bedrooms are located off the hallway. Both are twin bedrooms. The master bedroom is slightly larger and benefits from its own TV and patio doors which open onto the outside space. The property s bathroom has a contemporary feel and offers a shower-over-bath and WC. Outside there is a private lawned garden with garden furniture and a BBQ. There is ample off-road parking available next to the property.